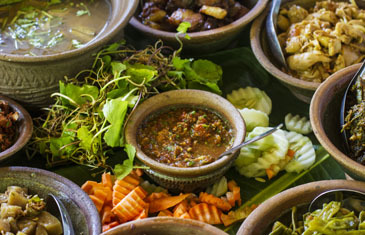 Discover Burma’s enigmatic cuisine which is one of the most complex and diverse in Southeast Asia. Experience the unique flavours of each region by sampling the local cuisine and participating in a number of hands-on cooking classes. Today’s introduction to Burmese cuisine is presented by an author who is also known for her political affiliation with Daw Aung San Suu Kyi. As an author of multiple books on Burmese cuisine, our expert will share the backstory of the recipes she has collected over the years. This morning we join the thousands of locals who use the circular train to get around Yangon. Join the up-close experience of people from all walks of life as they converge on this commuter train. Next, spend the day at a social enterprise that works with unemployed Myanmar women and aims to teach them technical cooking skills in order for them to find employment within the community. Join in a cooking class to have a fun and relaxing experience leaning how to make some simple, but very tasty, traditional Myanmar dishes. The freshwater lake of Inle is Myanmar’s second largest and measures about 70 square kilometres. There are an estimated 70,000 people living in more than 200 villages on or around the lake. To get a real sense of the lake’s expanse, we will take a longboat cruise navigating past floating gardens and villages and catch a glimpse of the unique ‘leg rowers’ of the Intha fisherman. 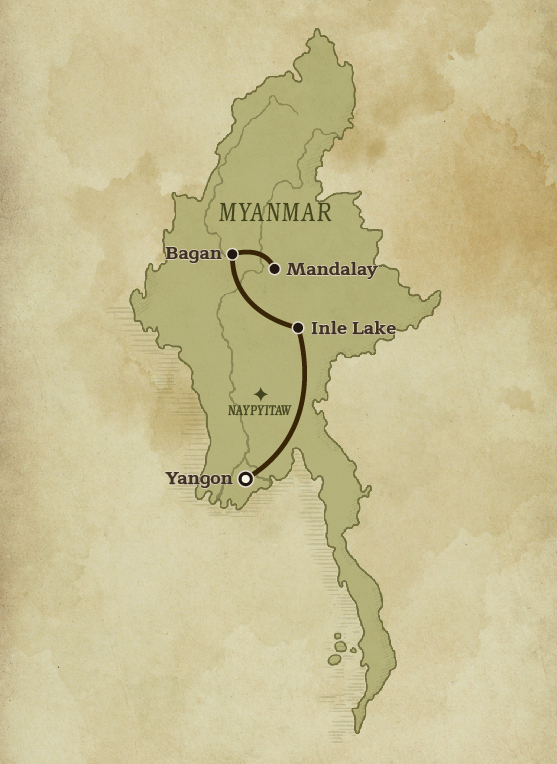 Along the way, we will also visit several villages specialising in various handicrafts and trades, such as lotus silk weaving and cheroot making. We will start the morning with a visit to the 5-day market which changes location depending on the day of the week. The rotating market serves as a central market for the people around Inle and attracts numerous ethnic groups who descend from the mountains. After visiting the market, we depart for the Intha Heritage House, a hospitality vocational training and cultural heritage centre, for our Shan cuisine cooking class. 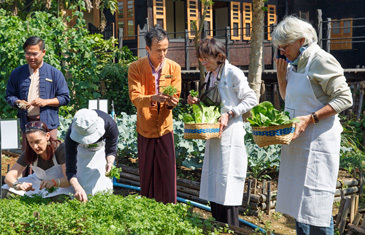 You will learn about the herbs and vegetables indigenous to the region and handpick some from their organic farm as ingredients for the cooking class. 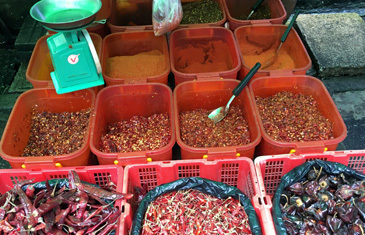 Learn how to prepare several popular Shan dishes exclusive to the region. Afterward, depart to Aythaya Vineyard. It was founded in 1998 by a German winemaker called Bert Morsbach, whose persistence at winemaking in Myanmar eventually paid off. The private tour takes you around the vineyard as you learn about the varieties of grapes and how the soil and vines are maintained in a tropical environment. Enjoy sampling select white and red varieties while soaking in the scenic view. The ancient city of Bagan in central Myanmar, formerly known as Pagan, was the capital of several ancient Burmese kingdoms. From the 11th to 13th centuries, more than 4,000 temples and pagodas were built, of which approximately 2,200 remain standing. We will spend the first half of the day visiting some key temple sites including Shwezigon Pagoda and Ananda Temple to gain a deeper understanding of Burma’s royal past. 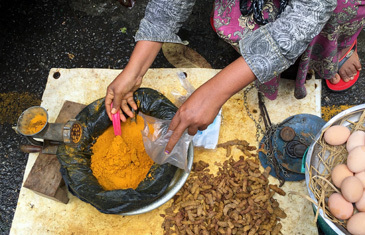 In the afternoon, we will visit several cottage industries that produce local specialities such as peanut cooking oil, toddy palm juice, and jiggery. This evening, experience a royal feast. It is believed that the King of Pagan had an enormous appetite where every meal included at least 300 different dishes. Though we won’t be having quite that many, there will be a few dozen sweet and savoury dishes for you to try! Rise early for a spectacular balloon ride over Bagan at sunrise. Floating above the plains of Bagan, you will be able to see the true expanse of the Pagan Kingdom and its thousands of temples and pagodas below. Upon landing, you will be treated tp breakfast on the grounds near a temple. After, we head to Nyaung Oo Market, Bagan’s central market, to pick up some necessary ingredients for our cooking class. Today, you will learn how to prepare several traditional Burmese dishes and some local specialities such as tamarind salad. Mandalay was part of an important trade route between India and China in the late 19th century, which explains the numerous Indian and Chinese tea shops dotted throughout the town. We make our way through town with stops at several tea shops to sample some of Mandalay’s most popular snacks. Our afternoon excursion takes us to the former royal capital of Innwa (Ava) to visit the the Bargaya Teak Wood Monastery, ruins of the ancient Ava Watchtower, fort walls and brick causeway, and the Maha Aung Mye Bon Zan Monastery, one of the finest examples of Myanmar architecture during the 19th century Konbaung Period. Amarapura was the former royal capital in the 18th century before it was moved to Mandalay. Today, visit the Mahagandayon Monastery, the country’s largest, to observe the daily life of Buddhist monks. Witness the lunchtime procession where thousands of monks line up to receive their meal which will be their last for the rest of the day. Afterward, visit some traditional handicraft workshops including gold leaf making and tapestry design. The U-Bein Bridge, dating back over 200 years, is the world’s longest teakwood bridge. Walk the entire length of this legendary bridge while enjoying the river views and observing local life. On your last night, explore Mandalay’s street food culture which comes to life in the evening. Sample a variety of popular dishes including curries, salads, and traditional tempura. Transfer to the airport for you onward departure.